Cyrano: has it all – sensitive, strong, an unrivalled swordsman, a brilliant poet – the ideal man…well almost. Christian: can hardly string a sentence together, but he’s handsome beyond words. What unites these men? The love of one woman – Roxanne. With Christian’s looks and Cyrano’s way with words they conspire to make the perfect man and woo Roxanne. But what has Roxanne really fallen for? Christian’s looks or Cyrano’s mind? 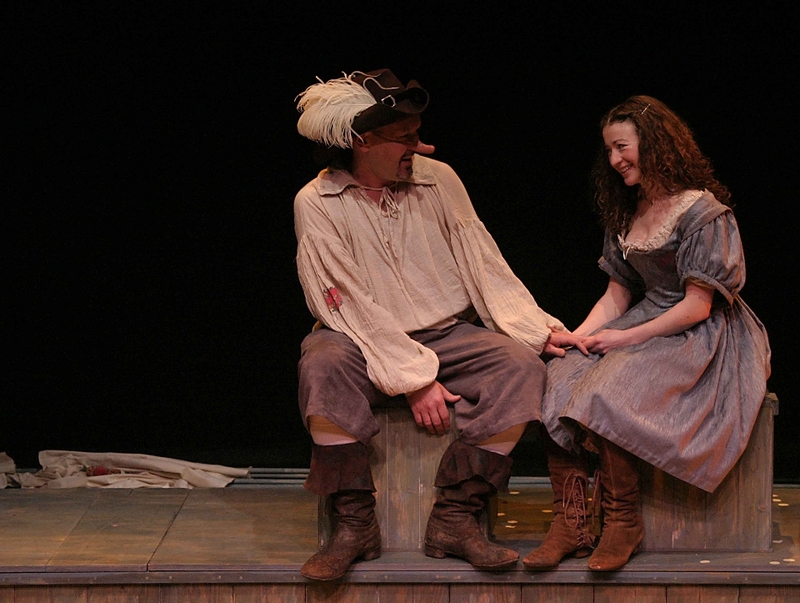 Cyrano, produced by the award-winning Catherine Wheels Theatre Company, is a swashbuckling comedy about tragedy, love, loss …and a nose.